Half-way up Doughruagh on very steep ground is a statue of the Sacred Heart, erected in 1932 by the Benedictine nuns of Kylemore Abbey in thanks for their safe delivery to Kylemore. They had been forced to abandon their convent near Ypres in Belgium during hostilities in World War I. 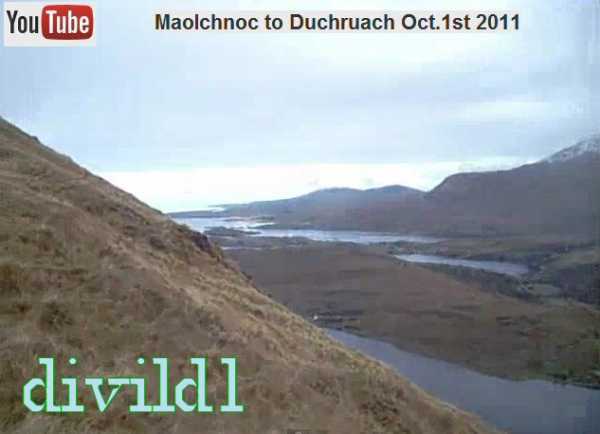 Walks: for a route on the S face of Doughruagh , see Kevin Corcoran, West of Ireland Walks, 93-101 or Paddy Dillon, Connemara, 38-44. Doughruagh is the 483rd highest place in Ireland.